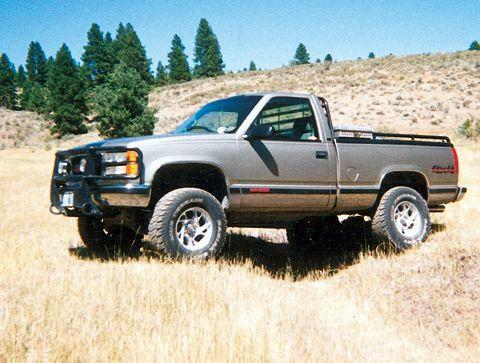 Steve got me thinking about my first car, as important as my first love. My first car was a 1965 Chevy pickup. It was Massey Ferguson yellow (similar to a Caterpillar bulldozer) because my dad had a tractor dealership at that time. 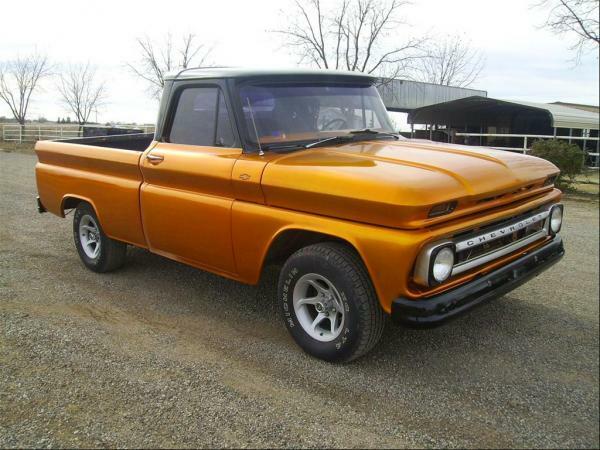 My second car, the one I had in college, was a 1967 Chevrolet pickup, a classy dark red or maroon. It was better looking than this one here. I didn't love my first car, a Pontiac Bonneville, but I had boyfriends who had some pretty cool cars, some of which would be worth a lot! My first car was a 1973 canary yellow Chevy Camaro. A V8 — what a rocket! My first vehicle was a 1978 2 door, green, Ford Bronco. While pregnant with my third I found I couldn't hoist myself into the back seat to buckle up car seats so I got a temperamental, beige, Ford station wagon that didn't like to start in cold weather. When it refused to start in warm weather I traded it in for a white Plymouth Acclaim. Then after being without a car for a few years I got that ancient piece of %^^&$^@# 1987 blue Toyota Camry station wagon that is STILL sitting in our driveway. Now I drive a black Ford Fusion. Don't remember what year it is but I know it's from this century. Still got that Camry? Saving it for parts? You might as well have been a guy ... you never heard of a chick car? My first and only car was an Austin that a friend gave me and it had been in a flood and it never worked right and I finally junked it. It was that or get killed driving on Third Avenue in New York during rush hour and the motor died. I managed to get to the curb. Now, of course, I drive our Isuzu SUV and Ed is thrilled that it is a truck chassis, but it is nowhere as smooth a ride as a regular sedan. One time I saw where women buy blue-red cars, and men buy orange-red cars. We never go by color, we take pot-luck, but I would avoid light blue because I think they are hard for other drivers to see from a distance. full of water with me. I learned to hate Volkswagon. Those old VWs were really something - the heater and windshield wipers barely worked. Mr. YouKnow had a VW beetle in college. My first was a 1971 brand new Caddy convertible---my last was a 1973 Chevy Cap[rice Classic convertible---get a theme here????? You strike me as a convertible type of guy - dramatic and classic. Thanks, Fredo. Hope you are doing well. It's going to be cooold here in the west this weekend, and we heard it is 50 degrees in New England. Pickup truck woman... sounds like a hit country song. I sure do like my truck, and am also fond of tractors and riding lawn mowers. Cars? Not as much.